William's Bunny Hop in West Seneca NY - William's Florist & Gift House, Inc. This William's Florist custom arrangement is just too cute! 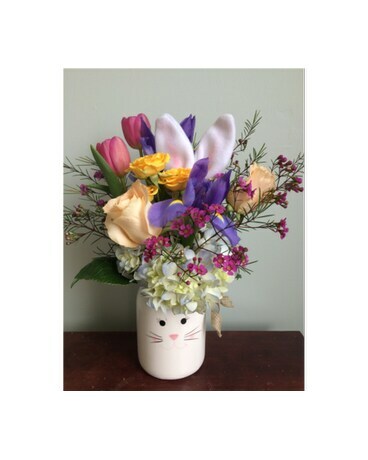 A bunny mason jar is filled with an assortment of spring flowers, including tulips & iris.